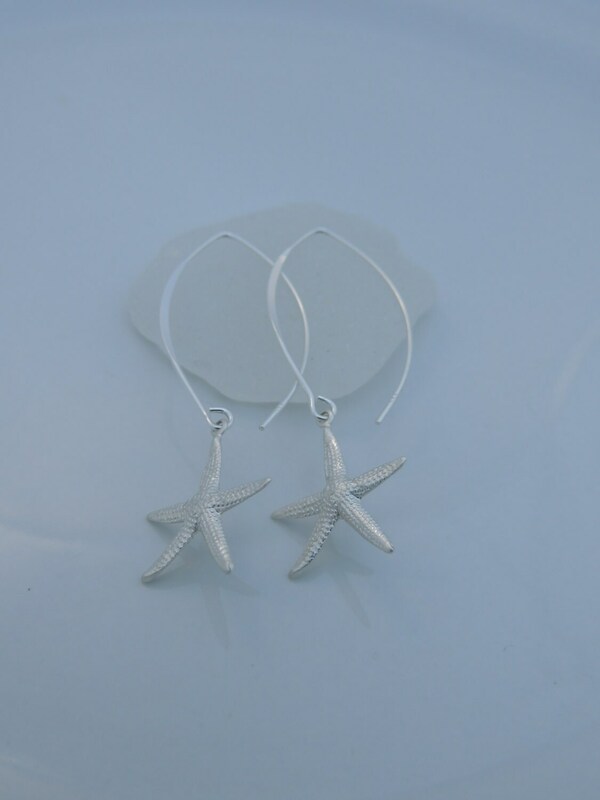 These beautiful solid sterling silver starfish earrings measure 2-1/2" in length. 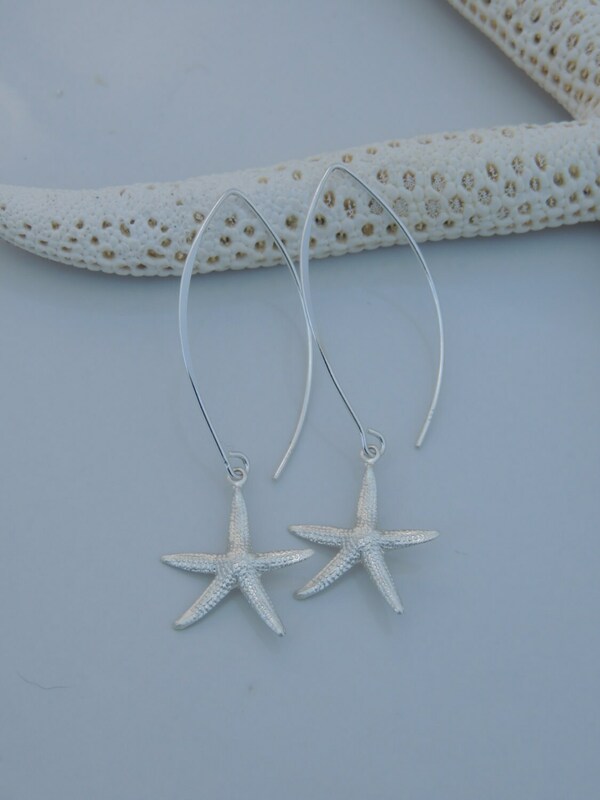 They are lightweight and will definitely make a statement. 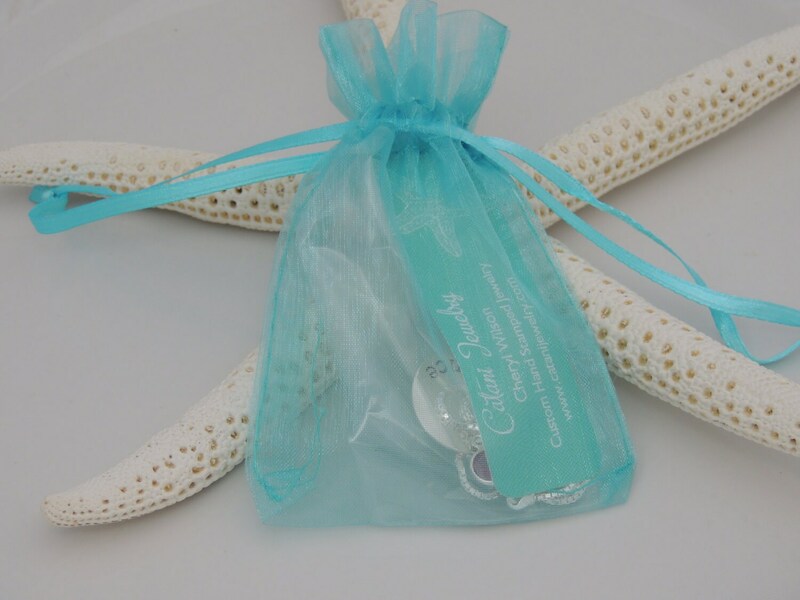 The starfish charm measures 19mm x 22mm. These came out beautiful. Thank you so much for the care you take in making and packing these. Thank you also for the handwritten note. I just love that some of us still use this method. 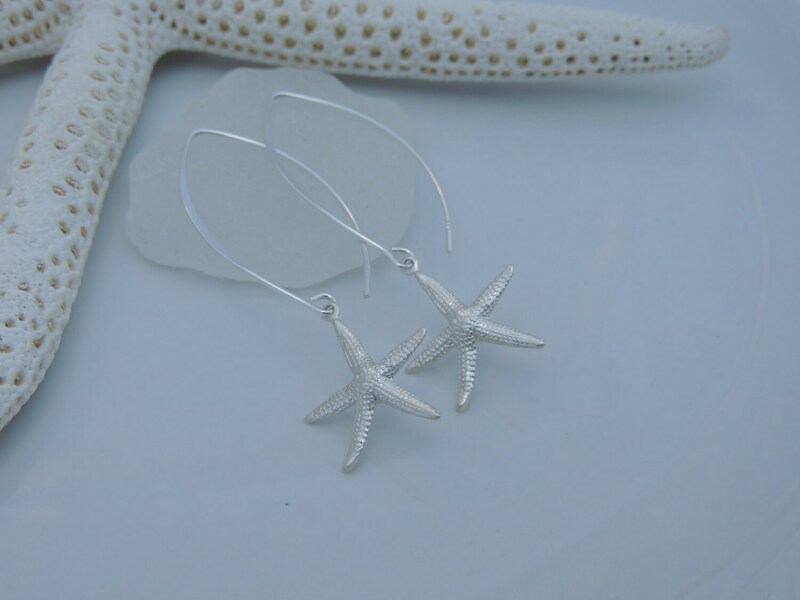 This is a gift for my future daughter in law and she loves starfish. I'm sure she will love these.